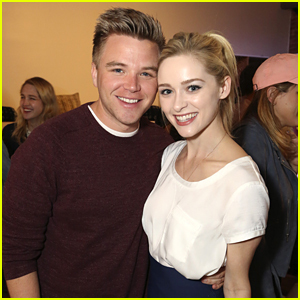 Brett Davern and Greer Grammer catch up together inside the Awkward live tweet event held at The Microsoft Lounge on Tuesday (March 15) in Venice, Calif. 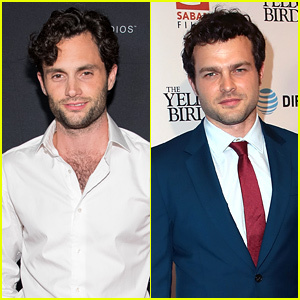 The two stars were joined by cast mates Ashley Rickards, Beau Mirchoff, Jillian Rose Reed, and Molly Tarlov for the season premiere of the show on MTV. The cast live-tweeted from Surface Pro 3s and even gave a tour of the party to fans on Facebook Livestream. “Love me some @bdavv – what do you guys think of Jake and Lissa back together?! #jakissa #jissa #awkward,” Greer posted on Instagram during the event with Brett. 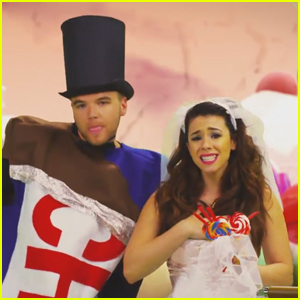 Jillian Rose Reed Releases 'Candy Apple Pink' Music Video Skit - Watch Now! Check out this new Funny or Die video from Jillian Rose Reed! The 24-year-old Awkward star confesses to writing and recording a song called “Candy Apple Pink” back in 2005. “Surprise! Ever wondered what it would be like if I was a pop star? Check out my music video I shot with @funnyordie!” Jillian tweeted. She enlisted her co-stars Beau Mirchoff, Brett Davern, Molly Tarlov, and Greer Grammer to play different roles in the hilarious music video, which you can watch below! Brett Davern Romances Emma Kenney on 'Shameless' - Exclusive First Look Pics! Check out these first look photos of Brett Davern on Shameless, provided exclusively to JustJaredJr.com! In this week’s episode, titled “Be a Good Boy. Come For Grandma,” sparks fly when Debbie (Emma Kenney) meets Larry (Davern) while shopping at a maternity store. In case you didn’t know, Debbie is pregnant and just got let go from her nanny job with the Wexler’s. We can’t wait to see what happens! Shameless airs on Sundays @ 9PM on Showtime. Click inside for more exclusive photos of Brett! Greer Grammer meets up with Brett Davern on the red carpet at the premiere of The Shannara Chronicles, held at iPic Theaters on Friday night (December 4) in Los Angeles. 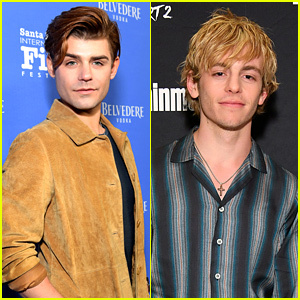 The two Awkward actors showed their support for the new MTV show along with Teen Wolf‘s Tyler Posey, and Scream stars Carlson Young and Bex Taylor-Klaus. “Our reaction to the @Shannara premiere! You will love this show! #Shannara Jan. 5th @Greer_Grammer @BDavv #Jissa,” Brett shared on the Awkward Twitter account. Greer Grammer shows off a lot of leg as she arrives at the 2015 MTV Video Music Awards held at the Microsoft Theater on Sunday (August 30) in Los Angeles. The 23-year-old actress joined her Awkward. cast mates Jillian Rose Reed, Brett Davern and Molly Tarlov on the red carpet. Don’t forget that the new season of Awkward. 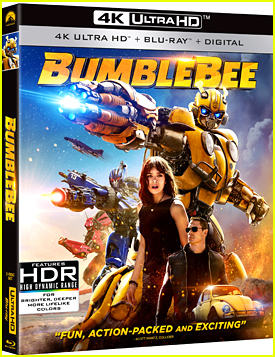 premieres TOMORROW NIGHT! FYI: Jillian wore a Black Halo dress, Palter deLiso shoes, tomtom jewelry and a Ramy Brook bag. Brett is wearing a John Varvatos jacket and boots. Greer is wearing a Swarovski bag and jewels.